Watching videos can be a good source of earning money. There are sites that pay you for every view you make on videos. One particular site that gives you an opportunity to earn something in return is Baymack. This reward site offers you an entry pass to win prizes for watching YouTube videos. Is Baymack a scam? you may ask. Let us find out in this Baymack review whether what they offer is legitimate or just another scam. It is not surprising to find many companies willing to pay for people to watch their YouTube videos as a sales and marketing strategy. Baymack allows people to have the chance to earn money simply by watching videos from its platform. It offers a lucky daily draw where you can get an entry from watching videos on YouTube. Joining the Baymack platform is free to register. However this is only possible by invitation. If you want to join you can request from its site to be invited by providing your email address. There are also other sister companies of Baymack that you can also join like Skylom, VipBirdie and Flamzy. Baymack offers a platform where you can win money by becoming the lucky daily draw winner. In order to have an entry for each prize you need to watch a YouTube video with the number of videos watched giving you an equivalent number of entries for the lucky draw. Winners are randomly drawn. Generally the more videos you watch the more entries you will be able to earn that increases your chance to win a prize. Registering is simple but you need to get invited to join. Your other option is accessing other companies associated to Baymack and log in with your Facebook account and this will give you access to be logged in to Baymack as well. For the first 10 entries you need to watch 5 videos in order to be entitled to 1 entry. You will also be required to answer the category of the videos that you watched. Each video is about 60 to 100 seconds long. On the subsequent entries the number of views required is getting fewer. For instance for the 11th to 50th entries you need to finish 3 views each, 2 views each for the 51st to 100th entries and 1 view each for the 101st to 200th entries. The maximum entries you can get is 200 for every prize draw. The more number of videos you watch you will have a better chance of winning the prize because of the growing number of entries you qualify. Another option to earn an entry is referring someone to Baymack. You will be entitled to 1 entry for every 2 referrals you make. The daily draw involves prizes for $100 with 1 winner, 25 winners for $1 each, 1,200 winners for $0.1 and 80,000 winners for $0.01. 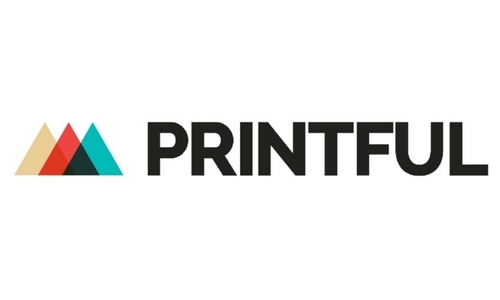 You can withdraw your earnings only through Paypal and BankWire with a minimum payout of $0.02 and $99 respectively. Baymack allows you to see the number of entries made for the day. This means you will know the number of your competitions for the daily draw. You can find the real time count of the total entries from the Baymack homepage and this will help you determine the odds or probability of winning based on the total number of entries. 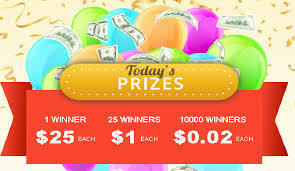 Winning the prizes for the daily draw may not be much especially when the prize accounts to cents only except for the $100 and $1 with few winners only. By making a brief calculation you will probably need to watch about 665 videos to be able to earn $0.05. With this kind of earning you cannot rely earning a decent amount for watching YouTube videos. The chance of winning the $100 is quite slim since you are likely to compete against over 100,000 other entries. Baymack is a reward platform that gives away daily draw of prizes with entries earned through watching YouTube videos. You can earn also earn an additional entry for referring others to the platform. Baymack is a legitimate site for winning daily lucky draw but the prizes are too small and the chances of winning are slim. Is Baymack a scam? In my opinion it is not. It does provide a legitimate way of giving away prizes but what you can possibly earn is something that is not decent enough to rely on as an income. It offers a low earning potential but is something that one can actually get money from by doing a simple task as watching a YouTube video. 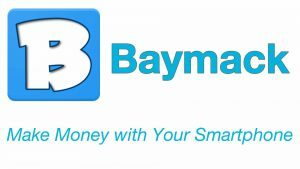 If you don’t mind earning a meager and enjoys watching videos trying out the Baymack platform is something you can try. Is Paid2YouTube A Scam? – Got Time To Watch Youtube? Is VIP Voice A Scam? – Worth Your Time? Is Swagbucks an opportunity to make money? Tubeloom Review- Can You Really Generate $300 Daily?